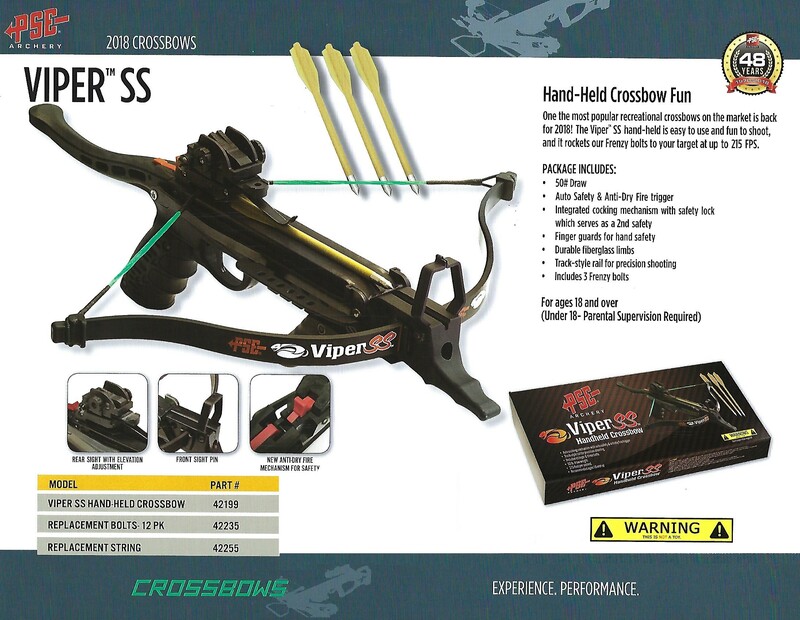 One of the most popular recreational Crossbows on the market is all-new and better than ever! The Viper SS Handheld is easy to use and fun to shoot. It rockets PSE's Frenzy bolts to your target at up to 215 FPS. Looking for ideal PSE Handheld Crossbow Manufacturer & supplier ? We have a wide selection at great prices to help you get creative. All the Integrated Cocking Mechanism are quality guaranteed. We are China Origin Factory of Handheld Hunting Crossbow. If you have any question, please feel free to contact us.